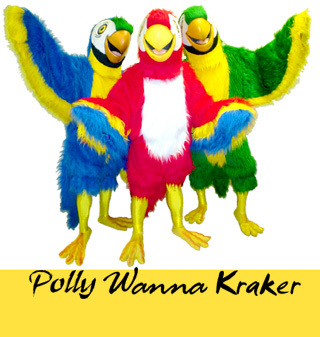 This is a turnkey mascot performance that is ideal for any summer or spring event where bright colors and energetic interaction with gusts is appropriate. 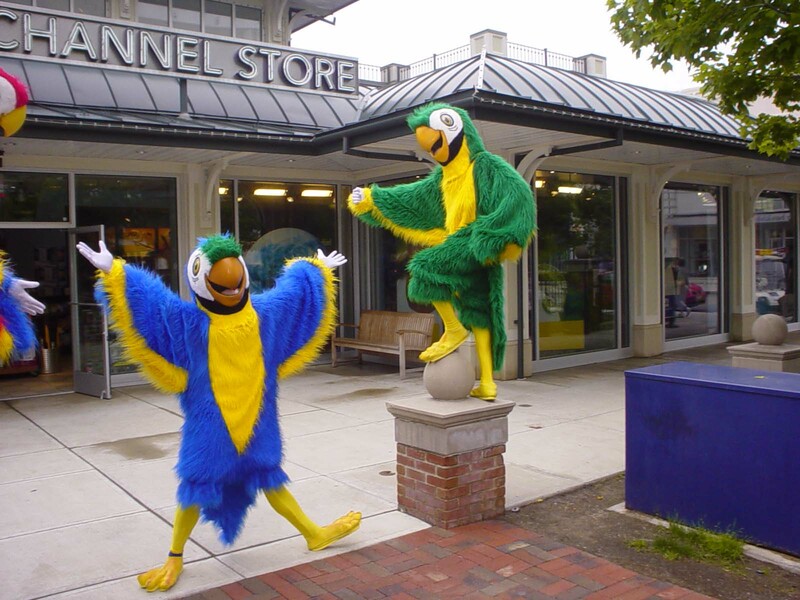 The parrot costumes are very colorful, friendly looking, and inviting. 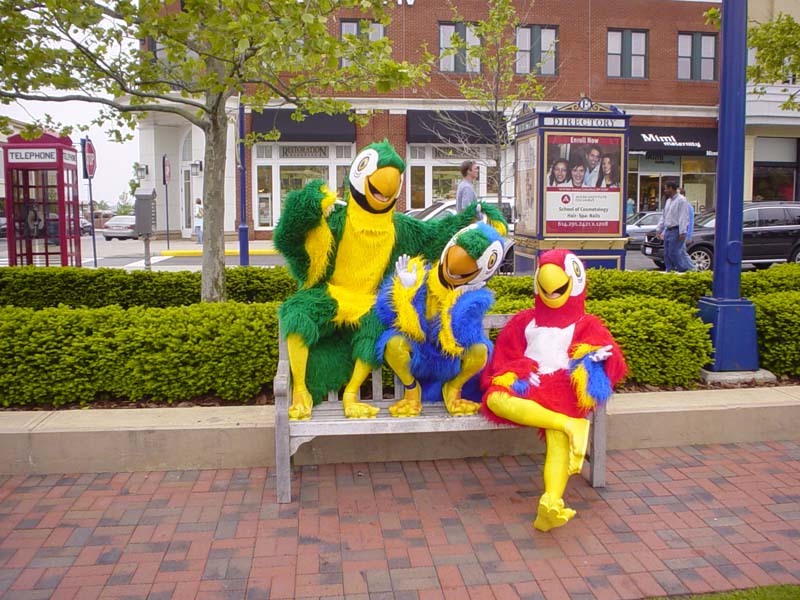 The characters stroll around a venue, interact with guests, pose for pictures and perform small impromptu acts similar to street performers. The three always appear in a group and are accompanied by a guide in safari style attire who is "the bird watcher". His primary job is to watch the characters, ensure guests have a positive safe experience, and be the odd man in the impromptu routines. Skits include the hokey pokey, chicken dance, a whistling chorus of "Don't worry be happy" Parrot speak and many more. For leagle resons we are not allowed to publish pictures of kids interacting with the characters. You will have to take our word for it they are a hit!